Two self adhesive internal and two external stickers. Internal size 100 x 130mm. External size 210 x 295mm. 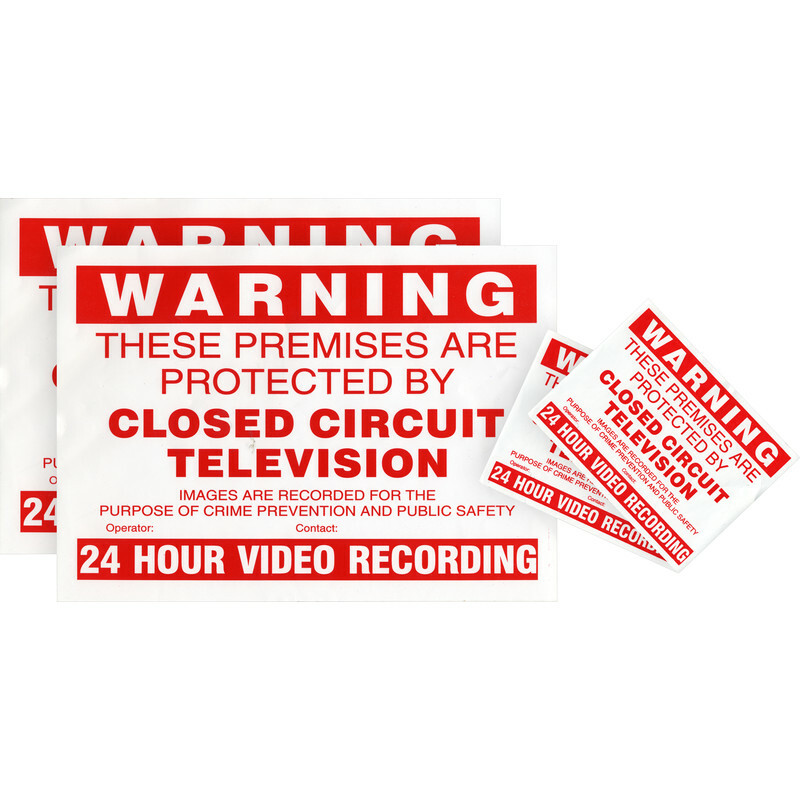 CCTV Warning Stickers (4 Pack) is rated 5.0 out of 5 by 2. Rated 5 out of 5 by Graham_A from Clear and well made A good product to provide saftey warnings, you get quite a few in the pack to completely cover a reasonable building. Rated 5 out of 5 by Pierro from just brilliant Bought these recently and are spot on for my needs,the larger ones are A4 size and i have put them between perspex to make them more robust and they are just the job. They ensure i comply with regulations and send a clear message to would be thieves, so hopefully they will thieve from somewhere else.